For the region, see Egypt (region). Egypt is a formable country. It can be formed by nations whose primary culture is Egyptian and their capital is in Cairo (361). 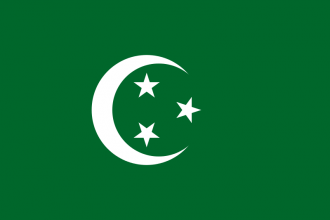 This means that naturally only the Mamluks will be able to form them, though a player may change their primary culture to get access to the decision. Egypt does not have unique national ideas, and instead will use the ideas of the nation that formed it. Found the Egyptian nation, drawing on the rich history of the Nile Delta to establish a modern state in the region. has Egyptian as primary culture. has not Celestial Empire government. it cannot be a custom nation. has Cairo (361) as capital. Cairo (361), Rosetta (362), Damietta (363), Alexandria (358) and Faiyum (359). gets permanent claims on all provinces of Egypt (region) that it does not own. then the government is changed to administrative monarchy.